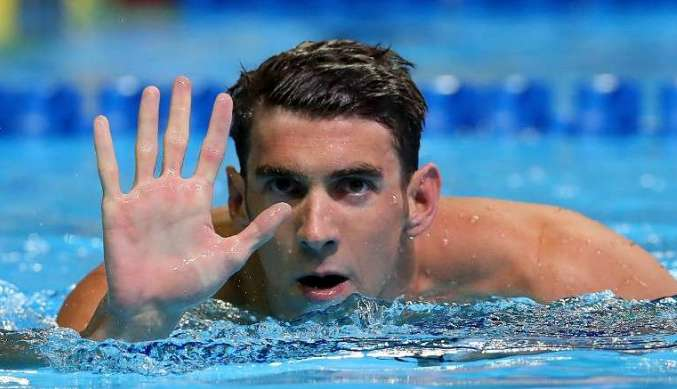 Michael Phelps has left the world befuddled with all that he’s achieved. This includes journalists tasked with writing about his career as they shuffle through thoughts to aptly describe the career that the man had made for himself, but fail to encapsulate its grand illustriousness. Nonetheless, many forces play a vital role in molding a man capable enough to break all records and establish himself as the best Olympian of all time and by extension, the best sportsman ever. Only a perfectly measured dose of love, guidance, competition, hardwork and ambition has what it takes to make a sportsperson as great as Phelps. This Olympics, Phelps won his 23rd gold before retiring for good- so he says. It was only four years ago when he made a similar decision and seemed certain about it at the time. When he turned back his decision in 2014 to get back to the pool, the world rejoiced at his comeback - obviously with the exception of his direct rivals. The Olympian came back with a bang and was the flag bearer for the United States squad for the Olympics. The swimmer faced no dearth of support from family in any of his race. His 3-month-old baby son Boomer slept while his mother Debbie, his fiancé Nicole and his coach Bob cheered him on from the friends and family stand. A strong and supportive family can make all the difference from a winner to an underachiever, and no one buttresses this claim more than America’s most loved family, the Phelps. The entire family (including coach Bob Bowman) has proved to be instrumental in shaping the legendary career of the swimmer. Bob Bowman’s book, “The Golden Rules,” describes this one particular incident. It was August 1997 and Bob Bowman called Michael Phelps’ parents into the NBAC office. He needed to talk to them about an important decision they needed to make. Bowman told them that Phelps had it in him to make it to the Olympics team for 2000. “You’re crazy, Bowman,” said Debbie Phelps, Michael’s mother. She was indeed right. The old man was crazy. He underestimated Phelps. A pre-pubescent Phelps found male guidance and influence in Bob when his relationship with his father, Fred, was ebbing. Together they dreamed, and dreamed big they did. Who knew it would take a man striving for the depths of water and not shooting for the stars to make the most decorated Olympian ever? Bob had an idea and a plan, and Phelps had what it took to materialize it. After getting Mr. and Mrs. Phelps’ approval, Bob guided Phelps into a routine that solely circled around swimming. The changes came in the form of daily morning and afternoon practice sessions and changing to a school that supported Phelps’ ambitions. So, they started training regularly and the rest, as they say, is history. It is said that the partnership they’ve formed is the greatest American coach-athlete partnership. Maybe it is, but it sure has had its tests. After all, Phelps was a young star with the world at his pleasure. There were times when Phelps left coach Bowman stranded alone for practice sessions. Sometimes, he showed up hung-over. These obstacles only help shape and strengthen this beautiful relationship.